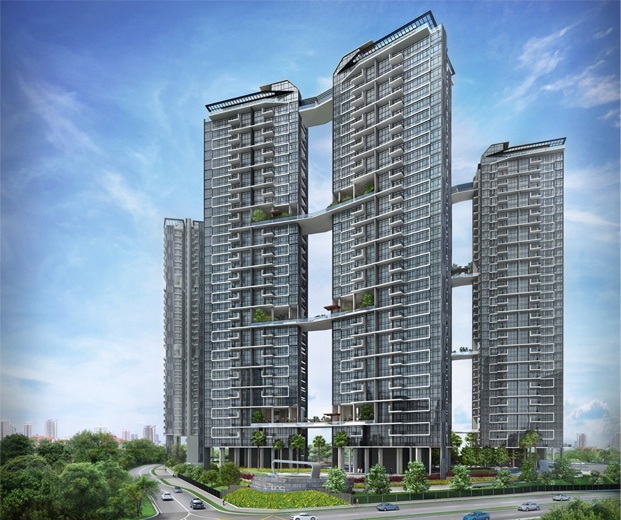 The Trilinq is a 99 years leasehold development (with effect from 16 April 2012) condominium that is strategically located at 28 Jalan Lempeng Singapore 128807 in District 05. 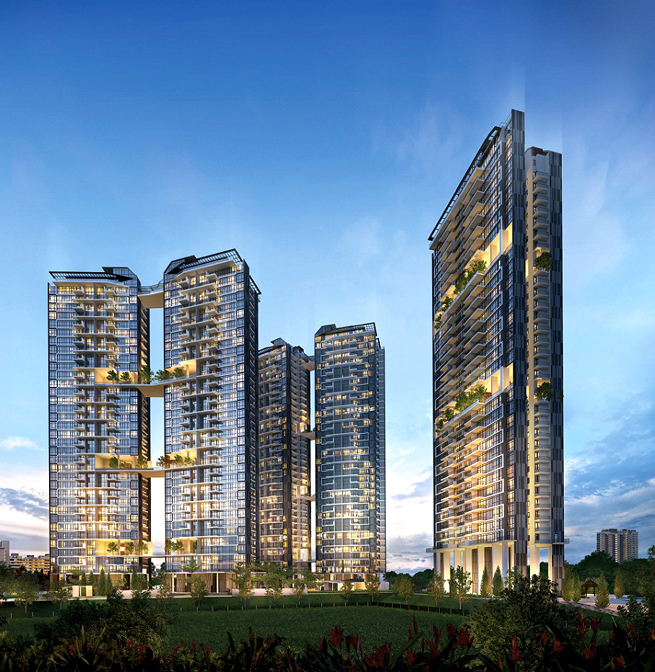 It is expected to be completed in 2017 by the reputable Clementi Development Pte Ltd. The estimated site area is about 262,831 sq ft. The main architect is AXIS Architects Planners Pte Ltd and the landscape consultant is Tulin Designs Pte. Ltd. This enchanting stately exterior tropical oasis has a total of 2 Towers of 36 storey apartments and 1 block with 33 storey (with clubhouse). 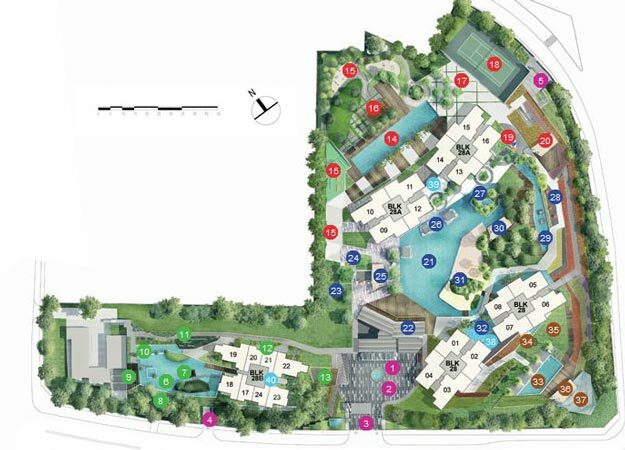 There are a total of 755 luxurious units here has unobstructed views of Sungei Ulu Pandan and the Pandan Reservoir. Nothing spells elegance like The Interlace. Experience a new level of indulgences here with unparalleled qualities and comfort that greet you everywhere you turn within this lavish premises. There is a fabulous holistic selection of facilities for you to recharge, rejuvenate and refresh you mind, body and soul. Here you can ease away the tiredness accumulated, immerse you mind and body in complete relaxation and seek inner serenity right in the comfort of home grounds. In a class of its own, The Trilinq, it is favorably located within the proximity of major roads and public transport. It is located at 28 Jalan Lempeng Singapore 128807, in District 05. 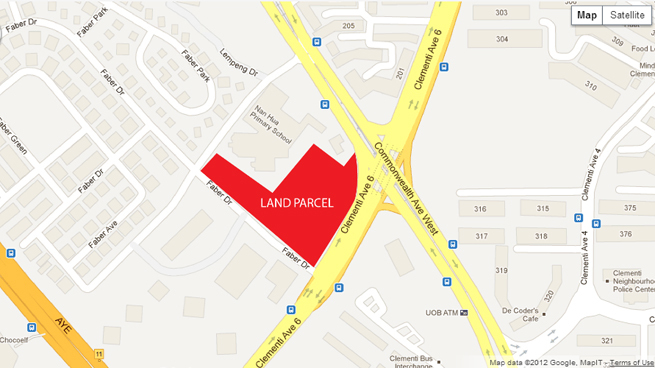 The nearest Mrt stations is Clementi Station which is 0.55 km away. Other nearby Mrt stations are Dover and Jurong East station. There are several bus services available here. Residents of The Trilinq can head to nearby malls such as Clementi Mall, Anchorpoint, Ikea, Queensway Shopping Centre, West Coast Plaza and many more malls to shop, fine dining, catch a movie, banking and grocery shopping. For more shopping options, you can head down to the rest of Orchard shopping district and Marina Bay District which is within 15 minutes’ drive away. Foodies can head towards the famous eateries and restaurants along West Coast Way, Commonwealth Ave West and over at Clementi Central. If you like hawker food, the nearest hawker centers are at Ayer Rajah Food Centre, 726 Food Market & Hawker Centre, Sin Heng Hock Kee Eating House, Tanglin Halt Food Centre and Alexandra Village Food Center. The nearest supermarkets are NTUC Fairprice Supermarket at 451 Clementi Avenue 3, Sheng Siong Supermarket at Clementi Shopping Center and Cold Storage Supermarket at Clementi Arcade. There are many recreational facilities include Clementi Community Centre, West Coast Community Centre, Clementi Park, Park Connector (Western Adventure Loop Park Connector Network) that connects the Pandan Reservoir, Pandan Reservoir Fitness Corner with West Coast Park and Clementi Woods Park. The Interlace is also in close proximity to Business centers like One North, Fusionpolis, Biopolis, Mediapolis and Science Park. The primary educational institutions around include Clementi Primary School, Nan Hua Primary School, Qifa Primary School and Pei Tong Primary School. The Secondary Schools in the neighborhood include Clementi Town Secondary School, Tanglin Secondary School, Clementi Woods Secondary School, Nan Hua High School, Newtown Secondary School and Kent Ridge Secondary School. Tertiary Educational institution around are School of Science and Technology Singapore, NUS High School of Mathematics, Singapore Polytechnic and Science and National University Singapore. For medical consult, you can head to the nearby General Practitioner Clinics, Clementi Polyclinic, Alexandra Hospital, Jurong Hospital and National University Hospital in the area to provide specialist healthcare services for the residents. The Trillinq is a prestigious highly sought after home of timeless appeal for the privileged few where you can luxuriate in the lyrical moments of life. It is a highly sought after oasis with architectural bliss within the picturesque beauty of lush natural environment. Take a retreat in the sensory abode with all your favorite indulgences in close proximity. Living here in this urban sanctuary reflects the ultimate dream that make any other possession secondary. It is definitely a true work, play and live nature retreat after a long day at work. Here, you can live your life according to your own rules. Right here, you can find equilibrium and tranquility and get fully recharged for new challenges ahead. It is indeed a perfect dream home where you can immense daily in freshness and appeal of nature’s pure beauty.